Assessment is one of those dreaded words that makes you cringe when you think abut it. I don’t usually enjoy assessment time. Why can’t it be something that we, as teachers, enjoy doing? 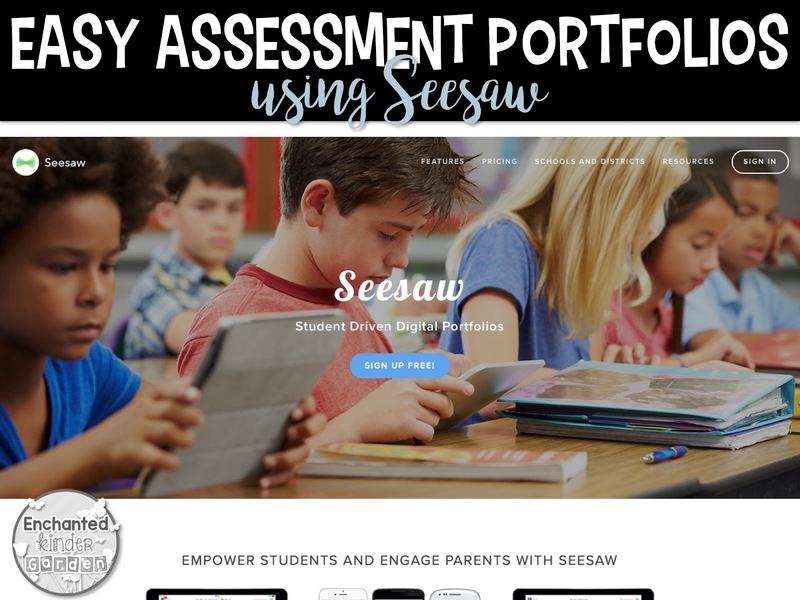 Well, let me tell you about one part of my assessment process PLUS how I keep digital student portfolios to use during conferences, RTI and my own data tracking for my students. 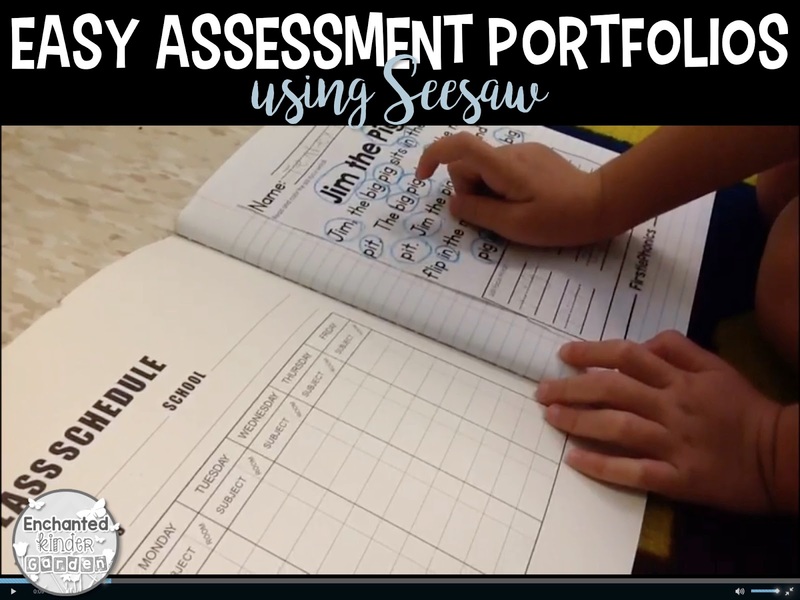 I use the Seesaw app on my student’s iPads to keep up with their day to day work. This is an amazing way to see what they’re doing, but not be bothered with them coming to show me what they’ve done. Usually during my planning time, I quickly scroll through to see what they’ve added. I jot down notes to see what I need to focus on in small groups or what I need to reteach whole group if most of my kids missed a skill. 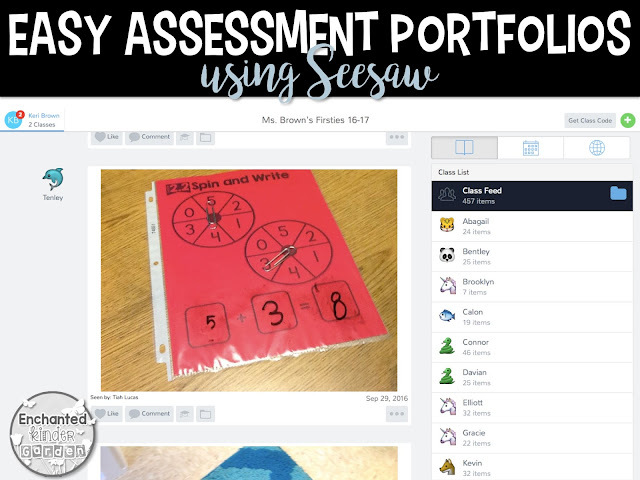 Seesaw is REALLY easy to use. First thing is to create an account. After you’ve created your account, you’ll name your class and add your students. The students will get an icon, automatically assigned to them. I spent a few minutes one morning allowing them to choose their own. 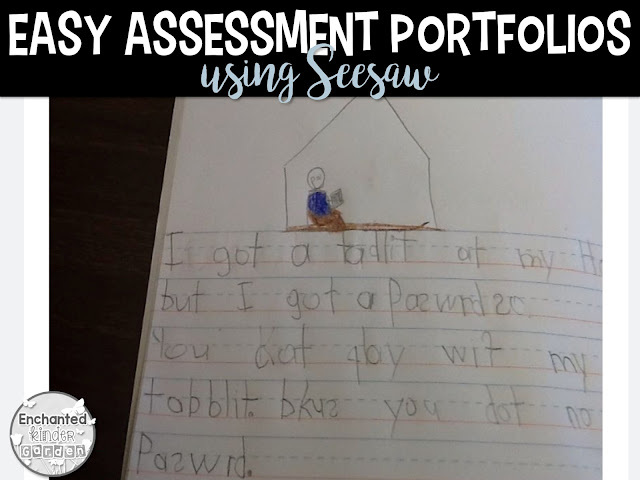 This gave them more ownership over “their Seesaw account” and know that parents are looking at their work. I printed off the QR code and placed it a few places around our classroom for easy access. Next, I taught them how to use it. The first thing we added was a video. Go big or go home, right? We had just added our 1st phonics skill poem to our poetry notebooks and I wanted them to practice reading them. We partnered up since it was our first time recording. They got a chance to listen to and record a friend reading the poem. Then, they switched. Why is this beneficial? They heard the words over and over again. Now, you’re probably wondering what in the WORLD does this have to do with assessment portfolios? Well, I go back and watch their videos and write down notes from these as well. 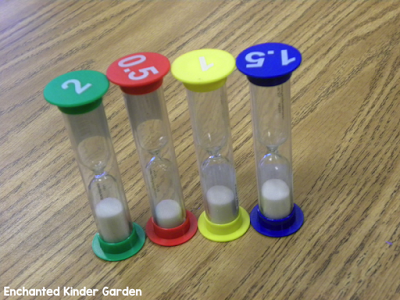 I can easily tell who is reading fluently, who has blending down, and who is struggling. I assess them without being right over them. A lot of students don’t want to get something wrong in front of you, but they don’t care about correcting themselves in front of peers or if it’s just themselves there. I’m able to get a fairly true assessment of what they can do independently. I also have them to add their daily writing into Seesaw. To be very honest with you, I love reading their writing. However, I DO NOT have time to read twenty something journals a day. Most of them, I can’t read and they have to read them to me. This gives me a chance to quickly read each journal everyday and I’m not using the precious time I have with them during the day to do that. We still have sharing time in front of each other for other things, but this is something I like to keep to myself. I also use these pictures and their portfolio during conferences and RTI meetings. I don’t have to keep a bunch of papers for each meeting and show these to the team. They get a better glimpse at how they are reading when they’re able to view a video. By conference time, I have tons of work samples to show and to get an idea of how they are progressing. This is very important because as they learn and progress, my teaching style and methods may need to change. Once work is sent home, I can’t go back and look at how they wrote their sentence or if they got the main idea. 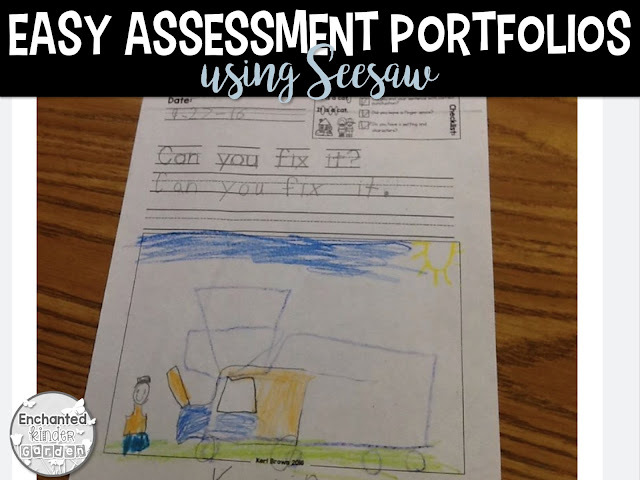 If you even have ONE iPad or iPod in your classroom, allow your students to add their work to Seesaw. It is an amazing resource. Parents also love it because they get a glimpse into our classrooms without being there. They offer a PLUS part of the account that is paid. It allows you to create more classrooms, share with more teachers, add notes that parents cannot see and more. I don’t have the paid version, but it seems amazing. I hope this helped you out some. Everything that I showed is available through the free account that you can sign up for. 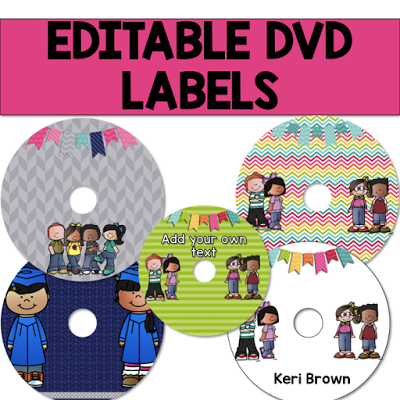 Editable DVD Labels? Yes, please!